Inspired by her grandchildren, in 2012, Diana Lovejoy wrote “Cooking Magic for Kids”, a Kitchen Garden Manual for urban, school, and community gardens, where the magic is cooking from a bursting with life garden. Kids can improve their health and the planet by growing an organic garden and cooking from scratch. Please visit our website: Cooking Magic for Kids. Earth Day, 2013 was the beginning of blogging health tips, recipes, and gardening tips for kids three times a week on Word Press. Twitter feeds are posted on the website daily giving tips and inspiration. Pictures and tips are posted daily on Facebook. Diana Lovejoy was born in Hawaii and her first organic garden was in Honolulu at her family’s fruit tree surrounded home, learning to crawl among the fresh tropical foods. After moving to California as a child, she would walk with her grandmother to the Hollywood Health Food Store, CA, where they met famous movie muscle men and health experts. Growing a large backyard garden, she discovered the joys of gardening at a young age. A vegetarian since a teen, she studied nutrition, yoga, and meditation. Traveling in Europe and Turkey on Occidental College History Study Tour after graduation excited her to experiment in foods of many cultures. She’s been organically growing her herbs in pots and her veggies in planter boxes for forty years. She raised three sons, making them healthy meals from veggies she grew and bought from local farmers. In Diana Lovejoy‘s life long quest for healthy living, she took graduate classes, seminars, master classes, and workshops at colleges and universities. Owning a health food store, it was a natural progression to search for organic labels on products. Today, her sons are great vegetarian cooks for their families, growing their own organic veggies in the backyard. Her passion is to uplift, enlighten, and entertain, making the world a healthier place by inspiring kids to seniors to grow an organic veggie garden and learn to cook. Diana Lovejoy’s new book was written to encourage urban dwellers to create a beautiful garden that restores the gardeners mentally, physically, and emotionally; that puts food on the table, improves their health and environment, and boosts morale by growing an organic garden where they live. 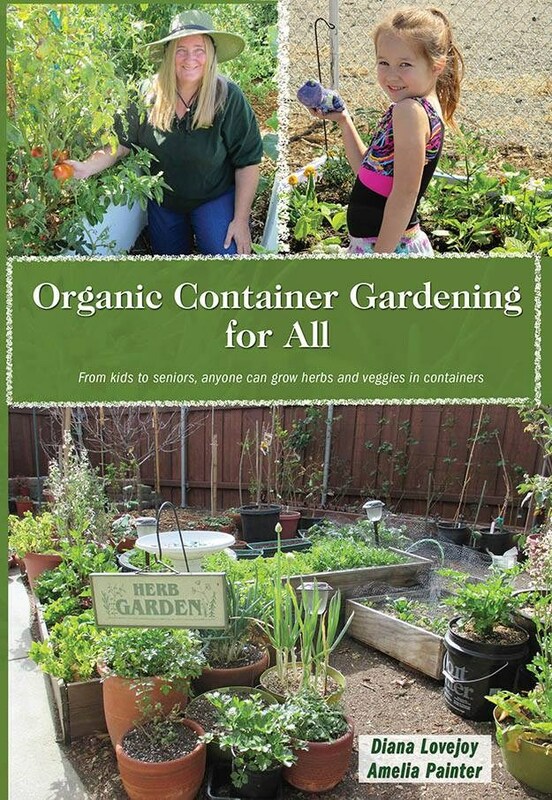 This enlightening how-to book will help anyone create an abundant, cost effective organic snack bowl of veggies and herbs on a small patio, balcony, or community garden. 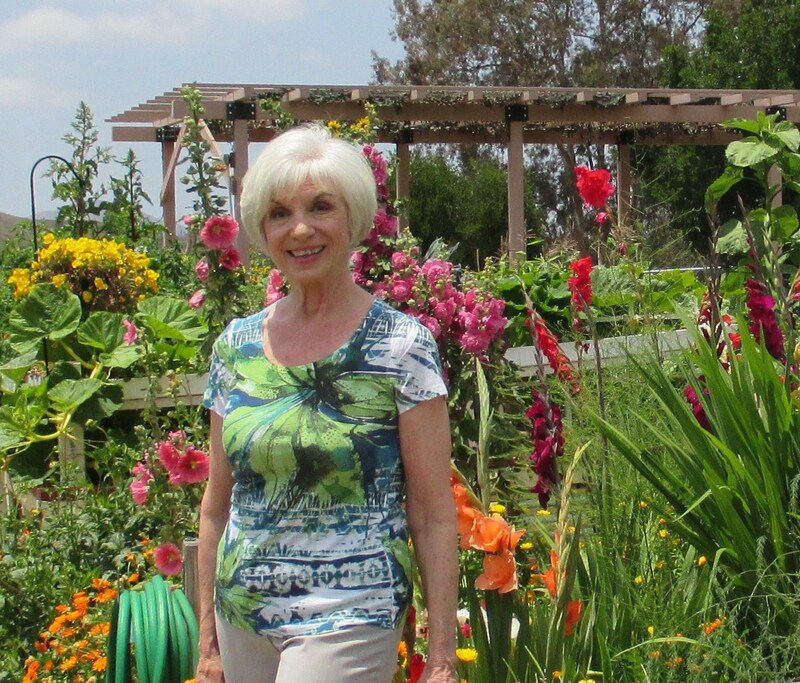 As the President of this club, Diana Lovejoy is honored to promote organic gardening practices through education and community outreach, to grow plants in a non- toxic, chemically-free manner using natural predators and organic non-toxic sprays to control pests, earthworms to aerate the soil, and compost to enrich the soil to produce the freshest, best tasting, bursting with life fruits, herbs, flowers, and veggies. Everyday is another exciting adventure in the garden! 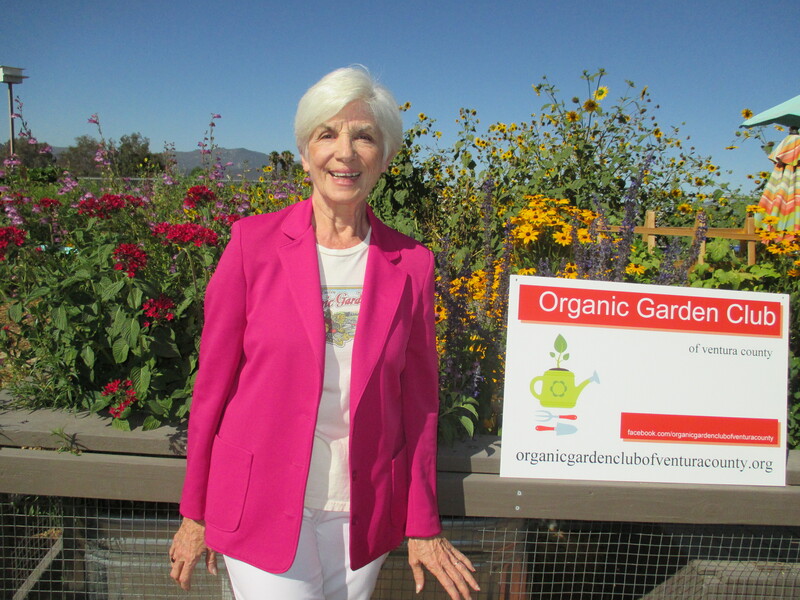 As a member of the Kids Garden with a 10 x 20 foot plot, Diana Lovejoy works in the Kids Educational Garden, the Butterfly Habitat, the Orchard, and teaches classes for kids. As the Garden Photographer, she records the events, activities, harvests of the gardeners. Just found your blog, and I love all of your ideas. I look forward to reading more. I’m about to be a new Mommy myself and I need as many ideas for healthy eating as I can get. Expecting a baby is the perfect time for you to start cooking healthy meals and planting a herb garden in a sunny window. So glad I can inspire you! Thank you darling Tooki!! I love your blog! I love this! Thanks for following Binding Curry 🙂 Happy to connect! !